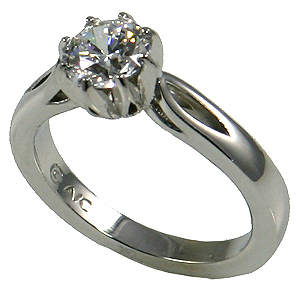 Stock #PLSPS801: Very popular Platinum, contemporary 8 prong 1 carat solitaire ring. Nice, heavy, top quality ring. Beautiful Russian Cubic Zirconia. Also available blank to mount your stone. Matching Platinum curved band available!